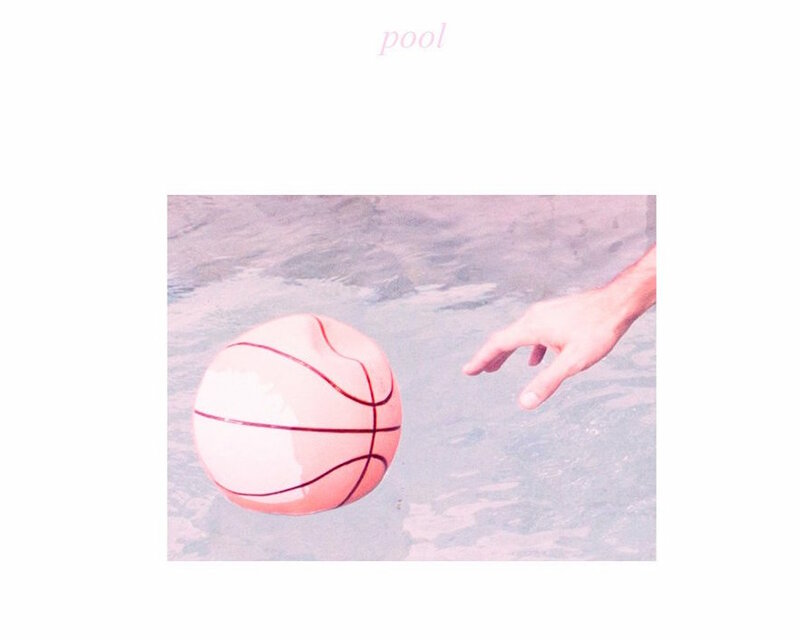 Released on February 5, Porches’ second album, Pool, is only the second new album I’ve listened to this year next to David Bowie’s Blackstar, so I guess that makes Pool the second greatest album I’ve heard in 2016 so far and presumably the first great indie album of the year. A high rating like 9.9 usually comes with consideration of things other than the music itself, such as influence, when it was made and previous work. There is a sense of both excitement and relief felt reviewing something as new and relatively under the radar as Pool because it makes reviewing the music itself much easier and seemingly relevant. I had minimal knowledge of the NYC indie band before listening, so I got my favorite kind of surprise: going in with next to nothing to expect and being absolutely blown away. For this and other reasons, I have found Pool wanting the moniker of a masterpiece. I felt that feeling after I listened to it the first time; I felt it after listening again and then again after the third and forth listen. It’s the kind of album you listen to four times over not because you feel you missed something the first few times, but because you want to experience it again and again because it’s so damn well made. Or judging by some of the mediocre reviews online, maybe that’s just me. With all this being said, there is surprisingly little bombast in Pool. There is a simplicity to the minimalistic execution and dreamy intoxication of the album that may not be for everyone, though I personally found it to be refreshingly different and welcoming. For all intents and purposes, Pool is an album by, about and becoming popular amongst the privileged white indie youths of America, but to me, it does not feel as aggressively niche as say, The Strokes. While I (a white male) cannot technically speak for “everyone,” I hope Pool finds an audience beyond just the indie crowd because without sounding lame (even though I’m about to), it is pretty darn wonderful. Pool is an album that evokes dreams, but a different kind of dream than the ones that many albums aim to emulate. This album does not prey on the weird fever dreams like the one you had where you had your own sitcom with Mr. Potato Head as host where things got crazy when Hank Williams signed on to be the musical guest and showed up late, (anyone?) that somehow seemed oddly reminiscent of Todd Rundgren’s fascinating A Wizard, A True Star. Nor is Pool like the dream where all seems darkly wonderful until you start to feel something is going wrong and you find yourself falling, falling, falling down a dark tunnel, spiraling to an unnamed abyss. That dream is akin to the feeling brought on by listening to Pink Floyd’s Dark Side of The Moon with the right mindset. Yet Pool’s mysterious soundscape of nocturnal New York nightclub-like electronic beats, sharp guitars, synthesizers and eclectic cameos of a variety of other sounds such as the beautiful saxophone bit (don’t quote me on that — I don’t know my wind instruments all that well) near the end of “Shaver,” seem to ground the otherworldly Pool just enough within our own world to make it feel comfortable. Yet, Pool somehow seems more like a dream that felt just real enough to pass as life so that you felt a bit shaken to wake up from it; surreal but still grounded in a sort of reality. The kind of dream where you relive things from summers ago and wonder if by doing things a bit differently, you could have seen your life turn out an entirely alternate way. The kind of dream that is tinted by a nostalgia, that while in retrospect was not all that great, in reality, you don’t quite want to wake up from even when it feels just real enough for bad things to happen. Dangerous, beautiful dreams to get lost in. Those are the things that Pool is made up of, and like those dreams, you may never want it to end. Regardless of its loud moments, Pool is a pretty calm album. “I’m thinking about this new stuff we’ve been working on and I want people to feel cool when they listen to it, and I want people to dance to it and just not feel angsty and start a mosh pit… I want people to get down,” said band leader, Aaron Maine in an interview about their past album, Slow Dances in The Cosmos. Having listened to about half of Slow Dances, I actually think this quote works just as well, if not better in describing Pool, because Maine has accomplished his goal and then some. Throughout its relatively short and filler-free run time, there are no excuses to be made or second thoughts to be considered while enjoying Pool. I usually define good music as the kind of music you don’t force yourself into liking and you often cannot completely explain why you love it, you just do. However, this type of music is often the hardest kind of music to review successfully because half of the fun is getting to pick something apart or weigh positives against negatives. If I had to try to pin down a specific reason why Pool appealed to me and will hopefully appeal to others, it is due in part to its remarkable listenability. A night album that sounds equally as good during the day. A new album that sounds immediately comfortable. An album that in name, cover, lyrics and sound is a summer album, yet still manages to work in a winter setting. While Pool’s lyricism seemingly stems from the same discontent alienation brought on by the privileged white indie experience that a slew of indie bands from the past few years seem to know all too well, what set Porches’ lyrics apart from, as an example, Vampire Weekend’s, is Pool isn’t pretentious. Don’t get me wrong, I like Vampire Weekend. But I find it hard to believe that even their biggest fans would deny that much of the band’s personality and appeal comes from their often intentionally pretentious ambiance. Sometimes those kind of theatrics can cheapen the music a little bit. Pool is too passionate, relatable and confident in its own loneliness to be pretentious. While Vampire Weekend attempts to sort of deconstruct wasp culture from afar with humor and hyperbole, with Pool, Porches presents a photograph of today’s indie kids standing at a party pretending that they are having fun while some contemplate the gaping holes in their lives that wealth cannot fill and others, possibly suicide. Yet Pool is less cynical as it is melancholy and filled with regretful nostalgia. While much of Pool runs off good vibes and a sense of cool on a surface level, there is an indescribable and moving sadness underneath it all. There are plenty of influences that can be racked from Pool if you think hard enough — Arthur Russell, a little bit of Mellon Collie-period Smashing Pumpkins and shades of Arcade Fire — but Porches’ fresh sound is all in its own and renders all but one influence as un-noteworthy in mentioning. The sole noteworthy influence of the album comes from fellow up-and-coming musician who also serves as one of the band’s associate, the always-unique, genre-defying musical chameleon, Blood Orange, whose mix of funk, ’80s pop, R&B and everything in between can be heard echoing throughout the album. It is inspiring to hear Porches take influence from Blood Orange, a major player in the NYC music scene, because it shows a kind of camaraderie between equally amazing musicians in order to make something great. That is certainly something I would love to see more of in the future. Porches’ has two good albums under their belt and with Pool as the most recent suggestion of what they are capable of, I am ecstatic to see what they can do next, even though a part of me wonders if this is going to be the best album Porches ever releases. Even if that is the case, at least Pool is triumphant. At the end of the day, I morally can’t bring myself to give any album a 10 out of 10, because nothing is perfect. Yet being as beautiful, catchy and memorable as it is, Pool comes close. Pool is available for sale on Bandcamp and iTunes for $9.99. Next ArticleTV Review: Shameless (6x05) "Refugees"